Have you ever taken the shortcut from Hawthorne into the Valmonte neighborhood and wondered what that brick structure was doing there? 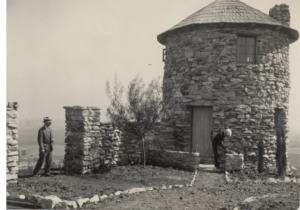 The Mirlo Gate Lodge tower was originally designed as a gatehouse to guard the northern entrance of Palos Verdes Estates, which had originally been planned as a gated city in 1926. 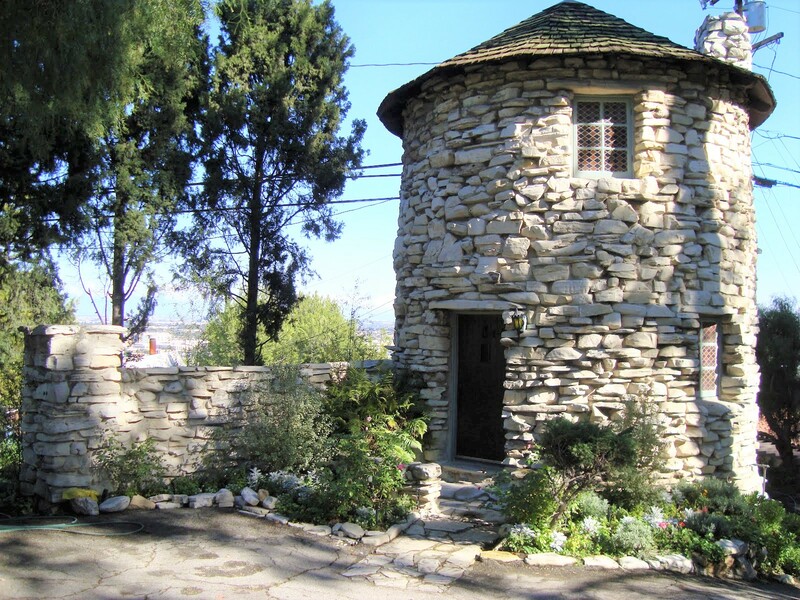 The tower is owned by the Palos Verdes Homes association and has been occupied by various tenants to maintain the tower. The Malaga Cove Plaza is well-known for it’s beautiful fountain featuring Neptune perched high above. Created by an unknown artist in the 17th century as a copy after the original 16th century bronze fountain by Giambologna, in Bologna, Italy. The sculpture was imported from Italy by the collector, Arnoldo Adolfo di Segni in the late 1920s and then purchased by the Palos Verdes Project.The sculpture was restored and rededicated in 1969 and 1999, and now has a discretely placed fig leaf. 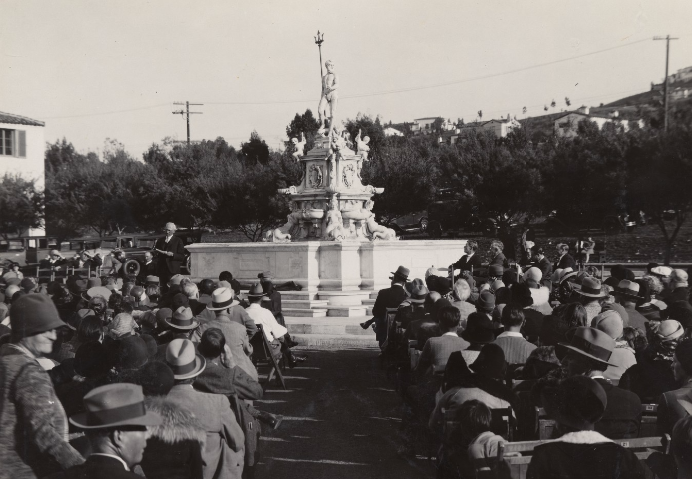 The photo below is taken from the Neptune Statue’s official, ceremony in the Malaga Cove Plaza on February 16, 1930. 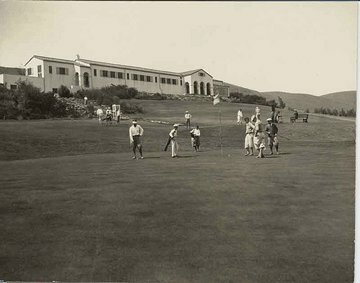 Palos Verdes Golf Club opened on November 15, 1924. 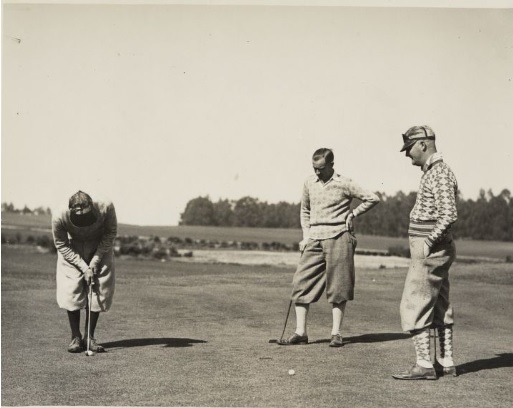 The golf course was designed and built by the team of William P. “Billy” Bell and George C. Thomas and landscaping designed by the Olmsted brothers. It is a classic example of courses built during the era that has become known as the “Golden Age of Golf Course Architecture”. The two-story, eleven-room Spanish-style clubhouse is located at 3301 Via Campesina in Val Monte. The photo on the bottom middle shows three women and several men, dressed in plus-fours, gathered around the flagstone steps and pathway. Seated on the bench next to his golf clubs is Donald K. Lawyer (Sales Manager, Palos Verdes Project and Chairman of the Greens Committee), dressed in a long-sleeved shirt, bowtie, plus-fours and dark-colored vest. 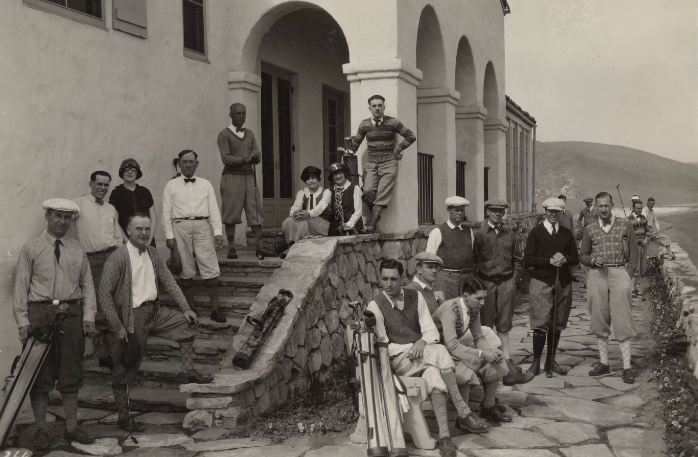 Standing at top of stairs at left is Jim Fiske, golf pro at the Palos Verdes Golf Club, wearing a V-neck sweater, white shirt and bowtie. 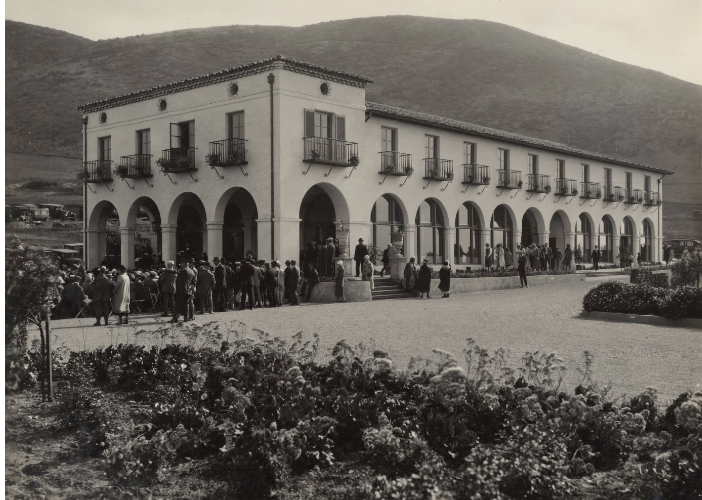 The Inn, originally built as a club house to entertain realtors and prospective land owners, opened in the summer of 1923 and was the first permanent building constructed by the Palos Verdes Project. The name was soon changed to La Venta (meaning “The Sale” in Spanish) and the inn served as a sales office and architectural prototype for the peninsula. 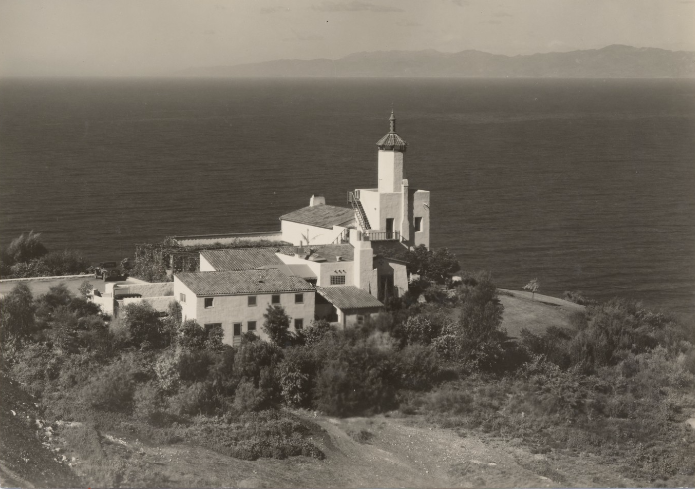 During the 1930s it became a weekend retreat for notable celebrities such as Charles Lindbergh, Erroll Flynn, Betty Grable, Bob Hope, Tyrone Power, Cary Grant, and Gloria Swanson. Briefly in 1942 the Inn became the central observation post of the coastal artillery. In 1978, La Venta Inn became the first structure designated as an historical landmark by the Rancho de los Palos Verdes Historical Society.